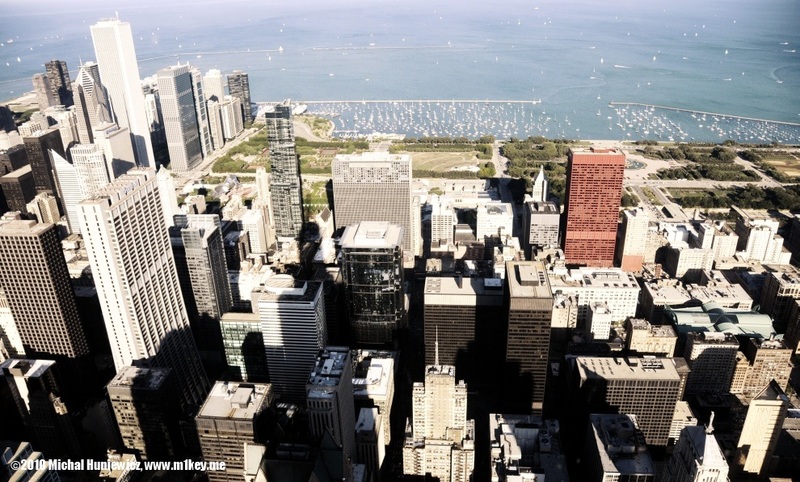 Chicago is the third most populous city in the US. It was founded in 1833 and has now 2.8 million residents. 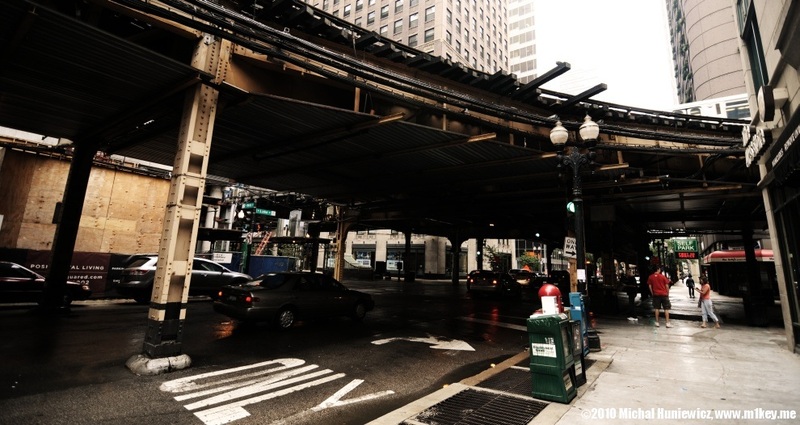 It is sometimes called the Windy City. Chicago gave us Walt Disney, Barrack Obama, Billy Corgan, and - perhaps most importantly - in 1950, remote control. Also, the first skyscraper was built here in 1885. 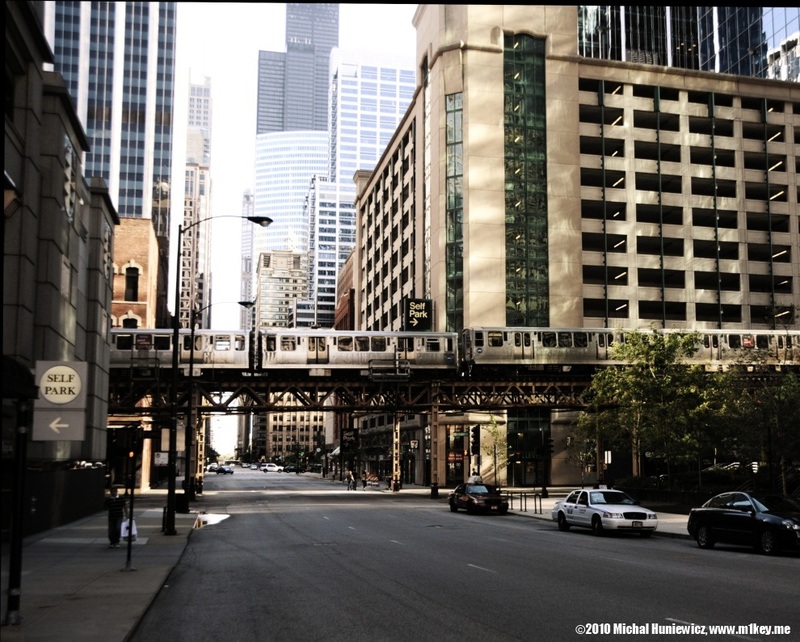 Chicago has a rapid transit system called "L" and it is America's second longest rapid transit system (after the NY one). The total length is over 170km. Not to interfere with vehicular traffic, the tracks are often elevated (hence the nickname "L"). Their secondary purpose is... being bomb shelters. Formerly known as Sears Tower, Willis Tower is the tallest building in the Western Hemisphere, and the fifth-tallest freestanding structure in the world. Here you can see it in the background, the black building. It is 442 meters tall. Here, Tara around 420m above ground in a skybox, a glass structure sticking out of the building. The floor is less than two inches thick. 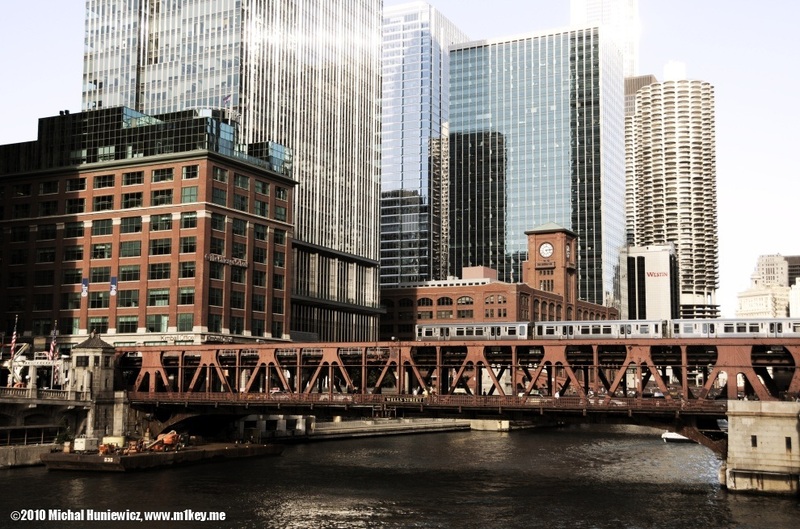 The Willis Tower elevators are among the fastest in the world. They go about 488 meters per minute. That's a bit over 8m per second, or 29km/h. That's what the city looks like from Willis Tower. You can see Lake Michigan - its area is 58,000 square km, making it the fifth largest lake in the world. The greatest depth is 281m. Jackowo is the Polish Quarter in Chicago. It turns out that most Poles are gone, as they have moved to more upscale neighborhoods; they were replaced by immigrants from Latin America and the former Soviet Bloc. However, there still are numerous Polish stores and restaurants (although not always operated by Polish-American people). There are no problems with getting kiełbasa or pierogi. 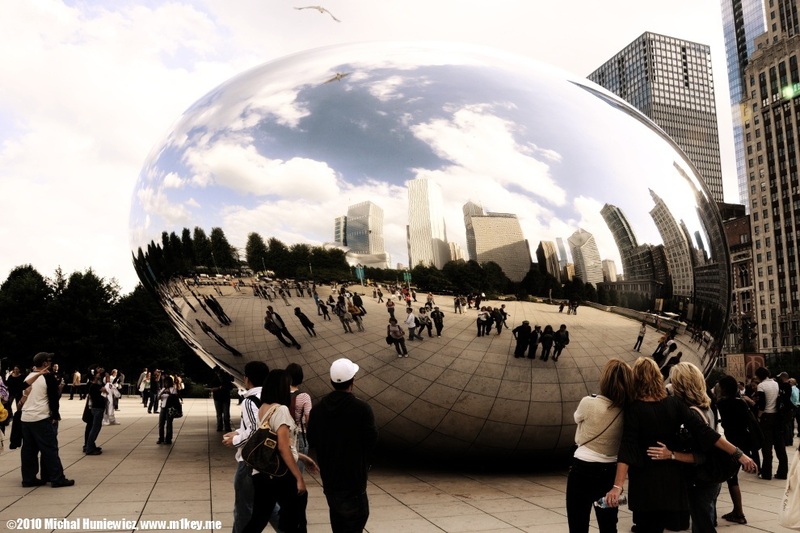 It is actually called Cloud Gate, and located in the Millenium Park. Made of stainless steel, its size is 10m by 13m by 20m. Many experts were consulted before it was built and some of them claimed it could not be built at all. 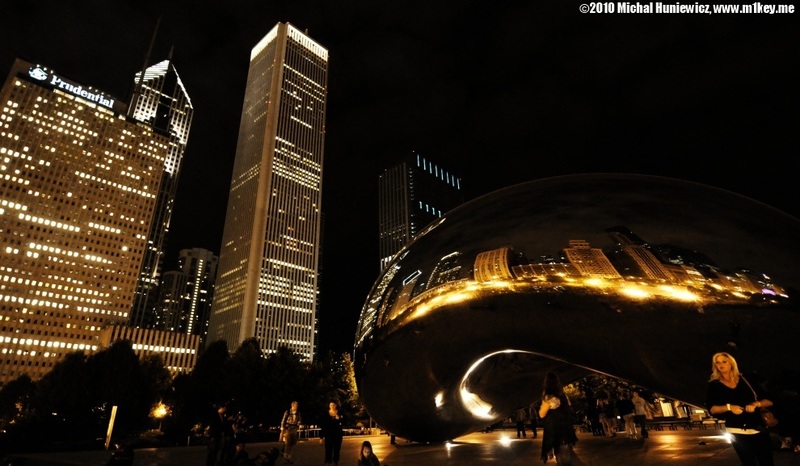 Opened in 2004, four years behind schedule, Millenium Park cost 475 million dollars. Its development process was criticized and lots of mistakes were made, but the outcome was praised by many critics. 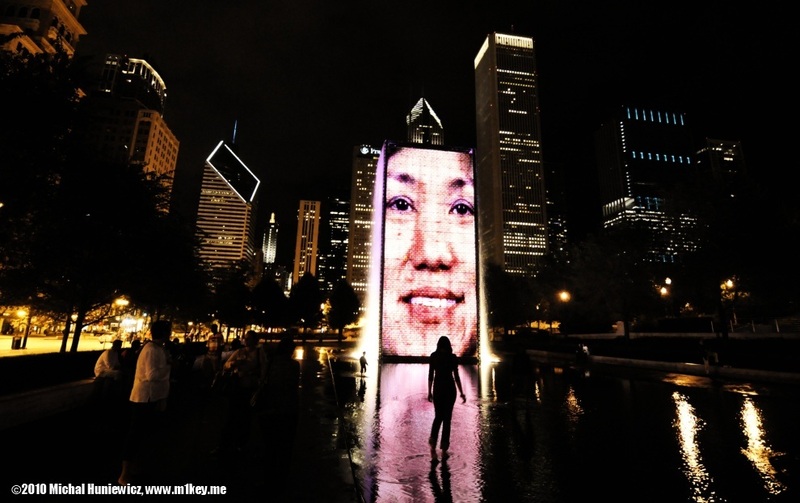 Here, the Crown Fountain, an interactive video sculpture. The faces belong to ordinary Chicagoans. 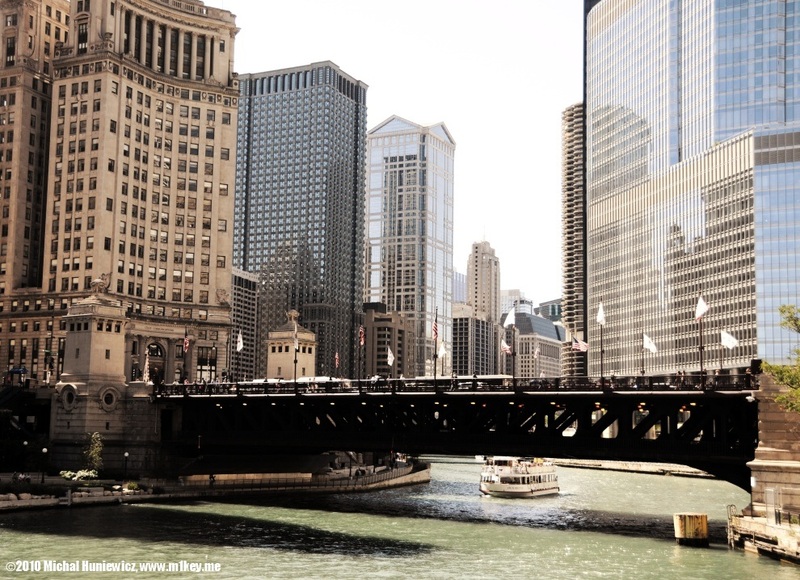 The river that flows through Chicago is called Chicago River. 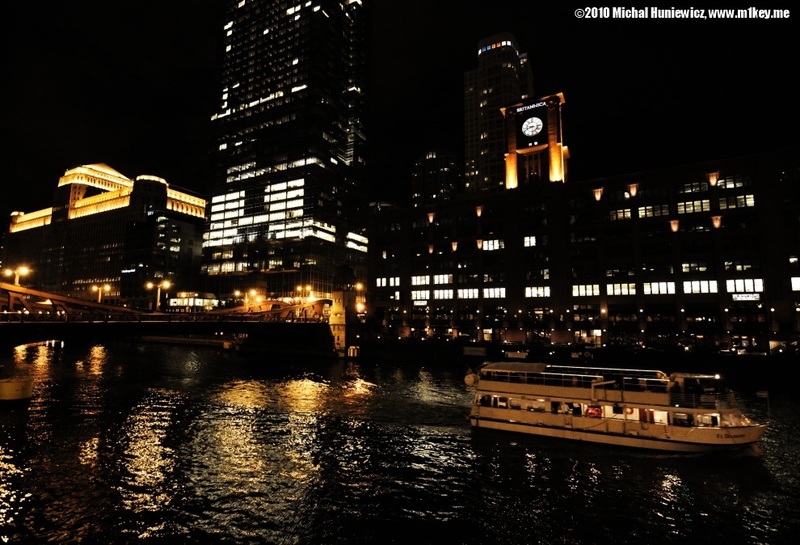 Originally it flowed into Lake Michigan, together with sewage and other nasty stuff. Then the sewage would come back and would be drank by Chicagoans. That became the reason for public health problems (including typhoid fever). So in 1900 the flow was reversed. Still, it was known as the stinking river. However, in 1990, extensive cleaning happened and the river is now clean and doesn't stink. In your face, Venice! 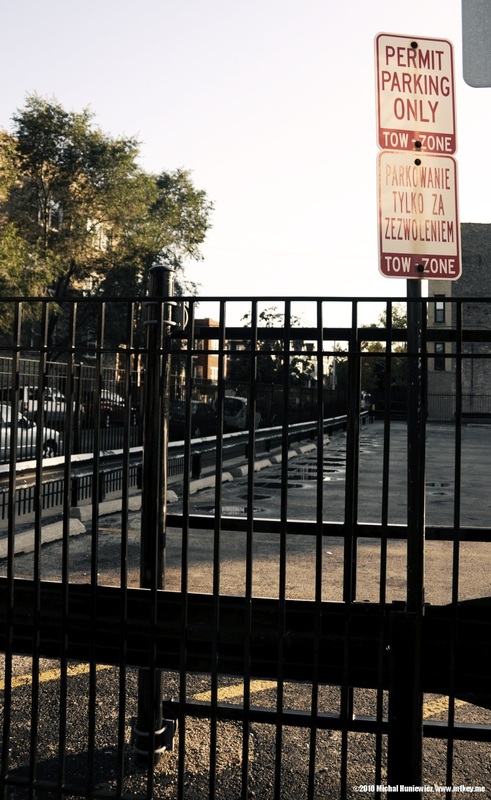 In early 20th century, Chicago became a destination for many Mexican immigrants. 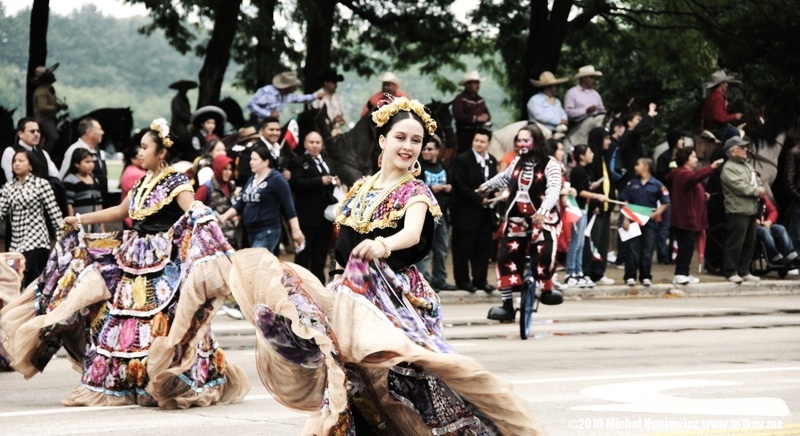 Here, a "Viva Mexico" Parade.